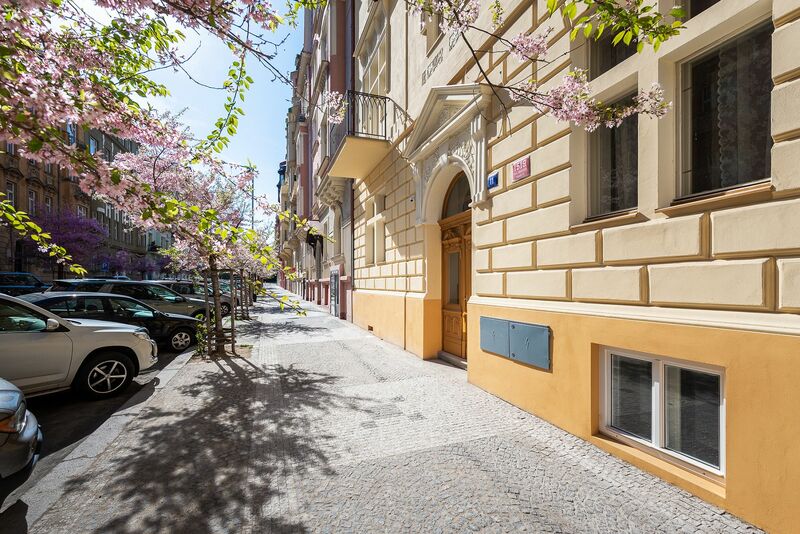 The elegant Na Švihance 11 residence is situated on one of the most beautiful streets of Vinohrady, just steps from Rieger's Orchards and Jiřího z Poděbrad. 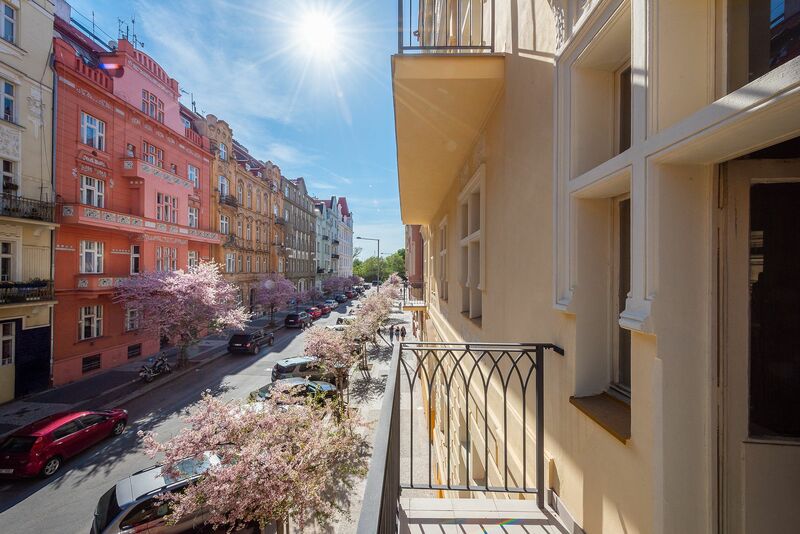 The Residence offers a total of 28 apartments ranging from 19 to 177 m2, ideal for those who are looking for a pied-à-terre or for a larger apartment for a family. 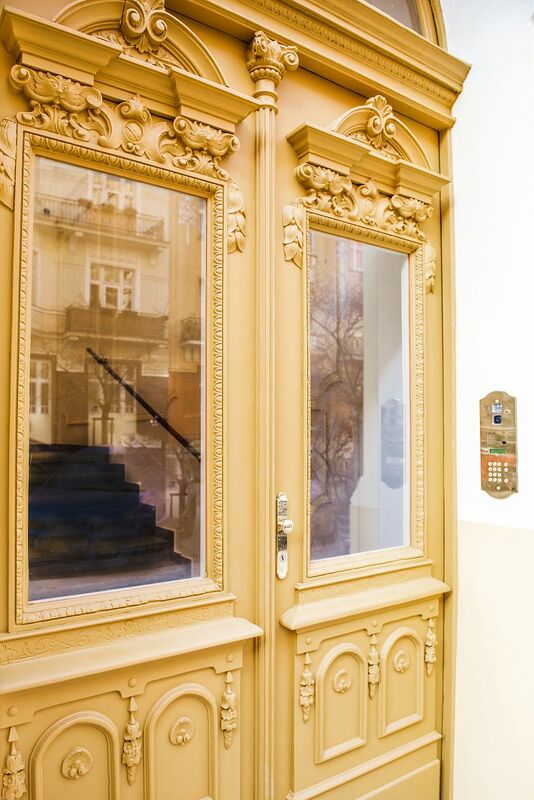 The Na Švihance 11 residence was created by a careful reconstruction of an Art Nouveau building from 1908. 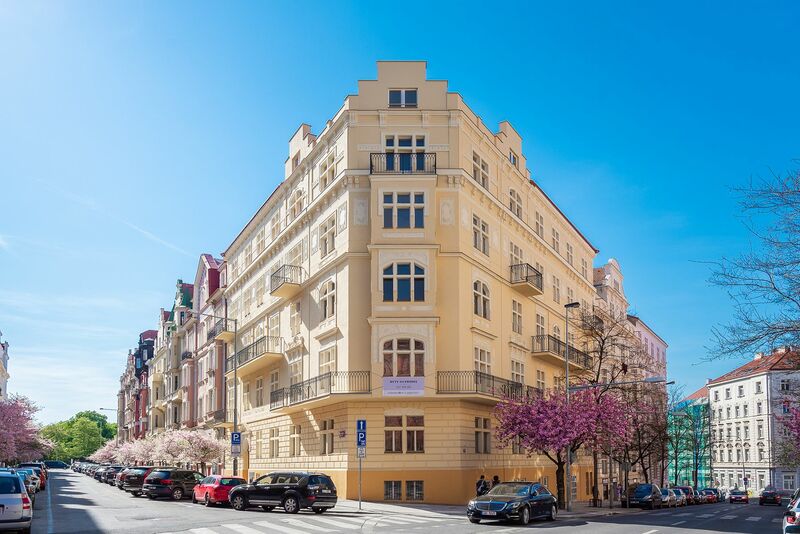 It is situated on the site of former vineyards on the corner of the street and is named after the former Švihanka mansion, which later became part of Rieger's Orchards, that was created at the beginning of the 20th century. 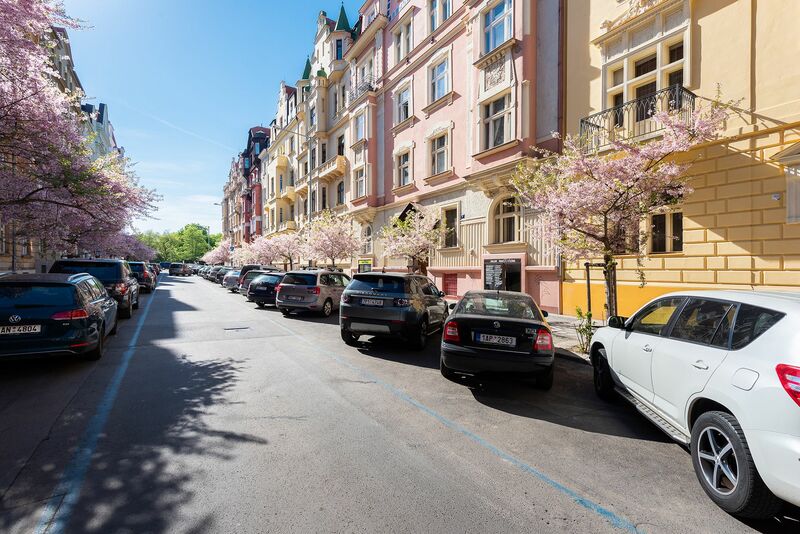 Nowadays the street is decorated with Art Nouveau-style houses and Japanese ornamental cherry trees, each of which drips with gentle blossoms of the most desirable pink shades come their season. 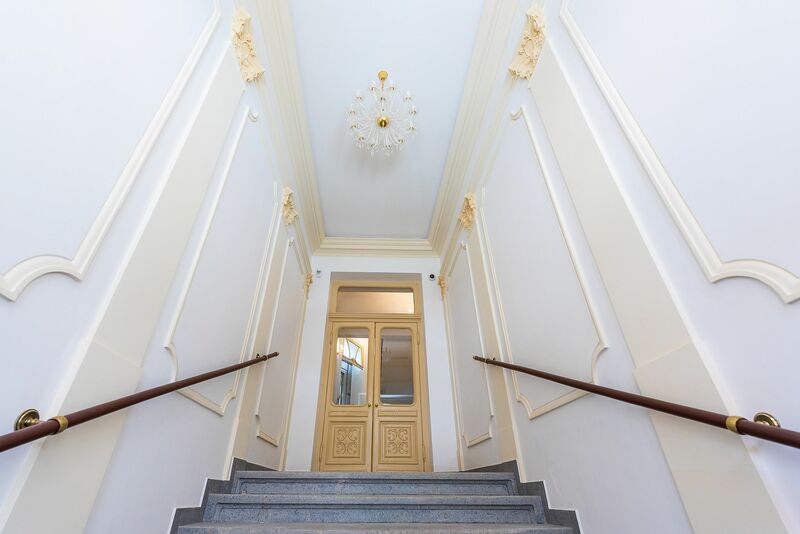 The residence has been renovated including the facade and the roof, while a glass elevator has been added. The standpipes, electric wiring and a gas boiler room have also been updated. 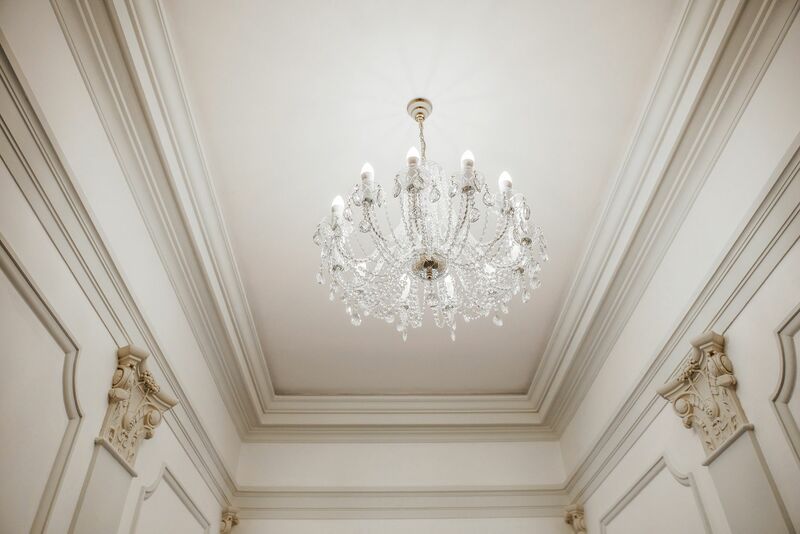 Great emphasis was placed on the attractive appearance of the common space - especially the spectacular entrance hall, which is illuminated with crystal chandeliers. Airy flats with a generous layout are full of light, most of which feature a balcony, while some have glassed-in bay windows. 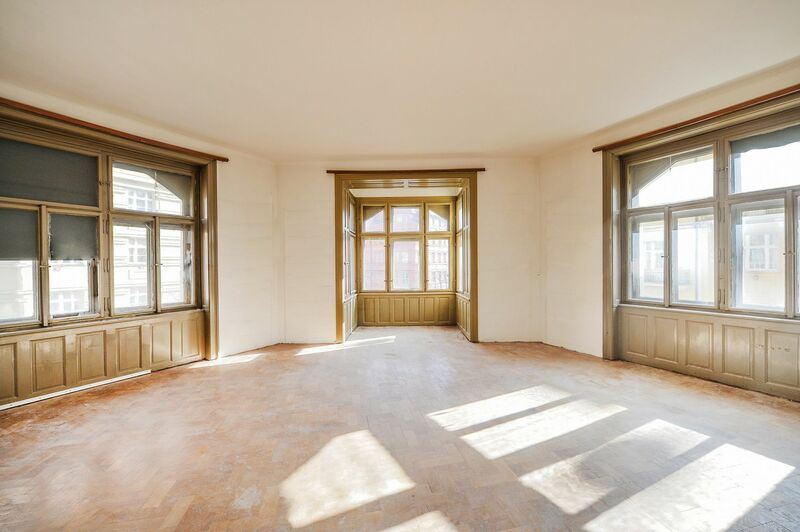 The reconstruction created six new attic units with skylights and classic windows. 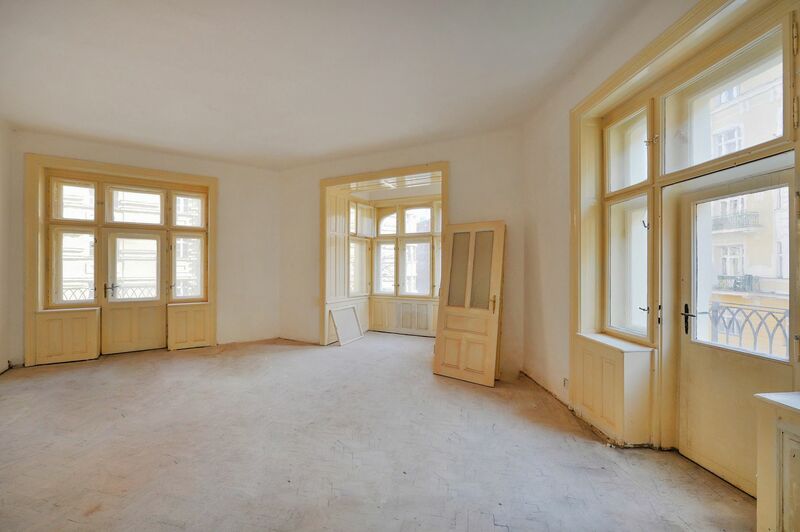 The attic units are in the state of white walls, where is up to the buyers to finish the floors, bathrooms and interior doors. 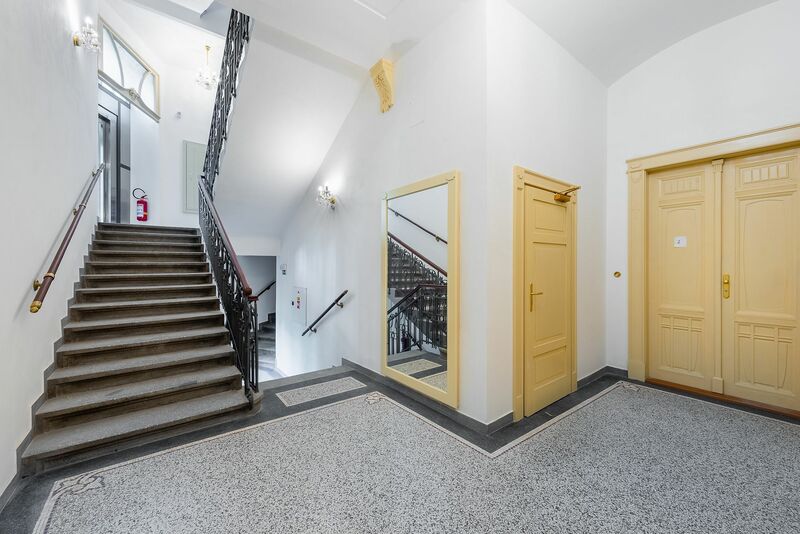 The other apartments are in their original condition so that the owners can create the interior according to their needs and wishes. 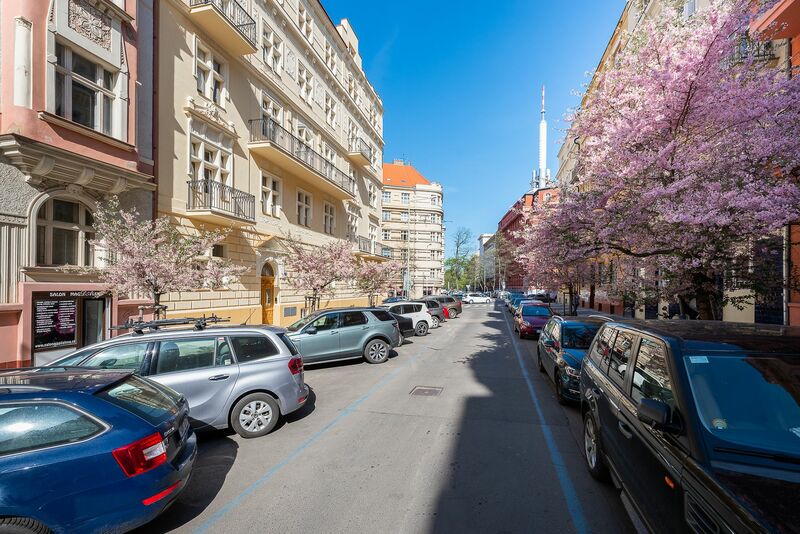 Vinohrady has long been one of the most popular places to live as the district is full of social and cultural opportunities and large, lush orchards and parks. 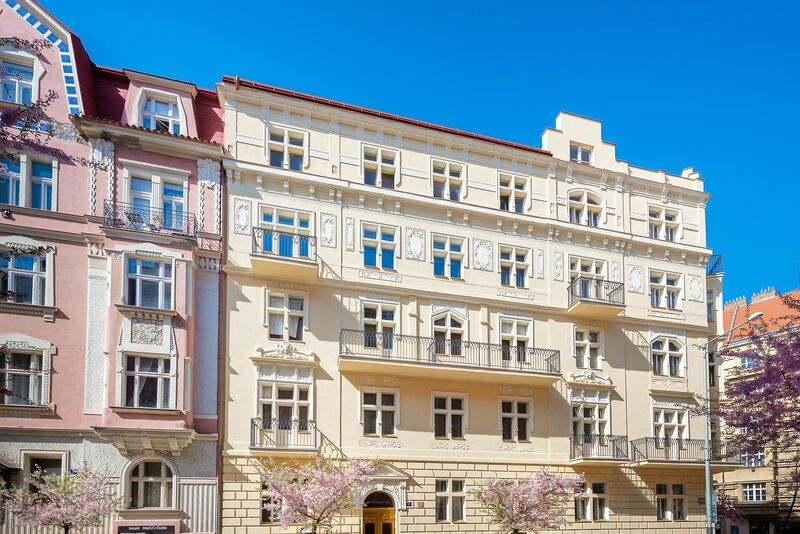 Numerous orchards and parks, wide streets with full-grown trees, decorative Art Nouveau façades and, above all, the idyllic atmosphere - Vinohrady is reminiscent of Paris or Vienna. In the immediate vicinity of the residence are several stylish bistros, cafes and restaurants, Rieger's Orchards is just around the corner. The famous farmers markets on the Jiřího z Poděbrad square are just a few minutes away. A metro station and tram stop on the same square ensure quick and direct connections to the city center.